Now John got himself into trouble with authorities. Mark tells us more about that later. He stopped preaching and went too meddling and fell afoul of political intrigue. His arrest was the green light for Jesus’ to go public. John’s work as forerunner and preparer of the people for God’s New Exodus was complete and the time was right for main event. So Jesus enters Galilee and announces “good news” that God was beginning the great and greatly-longed for New Exodus whereby he would rescue his people from their exile, return to them, rout their oppressors, rebuild the temple, and restore Israel to world leadership. And God would do this through Jesus of Nazareth, an unknown Galilean peasant. He was hardly the only claimant to lead messianic revolts at this time in Palestine and he vied with four other major groups to define the nature and mission of God’s Abrahamic people, the people through whom God intended to bless the world (Gen.12:3). -Sadducees: wealthy aristocrats who colluded with the Romans to maintain the status quo. -Pharisees: local leaders who emphasized Israel’s practice of the law in such a way as to emphasize national ethnic Israel as God’s people. -Essenes: formed a community is the desert to escape the corruption of the temple and prepare themselves for God’s intervention. -Zealots: undertook guerilla warfare against the Romans believing that God would respond to their efforts with his intervention. Fulfilled time and Kingdom of God language was revolutionary talk. It was a claim about who and how the people of God should be and work. And remember, there was no separation between politics and religion then as we know it now in the West. It was all politico-religious activity. And “repentance,” far from being the sort of smarmy religious word we take it as was a call to change politico-religious loyalties and begin living another way of life under new leadership. Josephus, the first century Jewish historian offers a prime example. “Having foiled a plot against his life by (a) rebel chief, Josephus told him that he would overlook his actions if he repented and believed in him. In other words, the insurgent leader was to abandon his militaristic, revolutionary way of achieving the overthrow of the Romans and trust in Josephus’ way instead (https://ruthvalerio.net/bibletheology/just-what-is-repentance/). Jesus’ call to “repent and believe,” then, is not a call to cease bad habits, personal behaviors, or “sinning” and join a religious group or accept a new theology. Not at all, rather he’s calling his Jewish contemporaries to cease trying to be God’s people in any of the ways described above and follow him and his way of being Israel. That’s why he announces the arrival of a “Kingdom” and not a religion, a sect, or a self-help group! The first move Jesus makes is gathering people around him and his message. 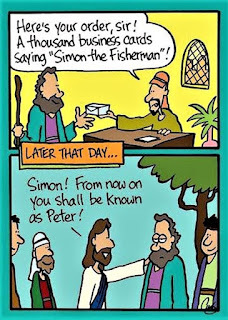 Two pair of brothers, fishermen - Peter and Andrew, James and John – receive his initial summons to be a part of His Kingdom movement. 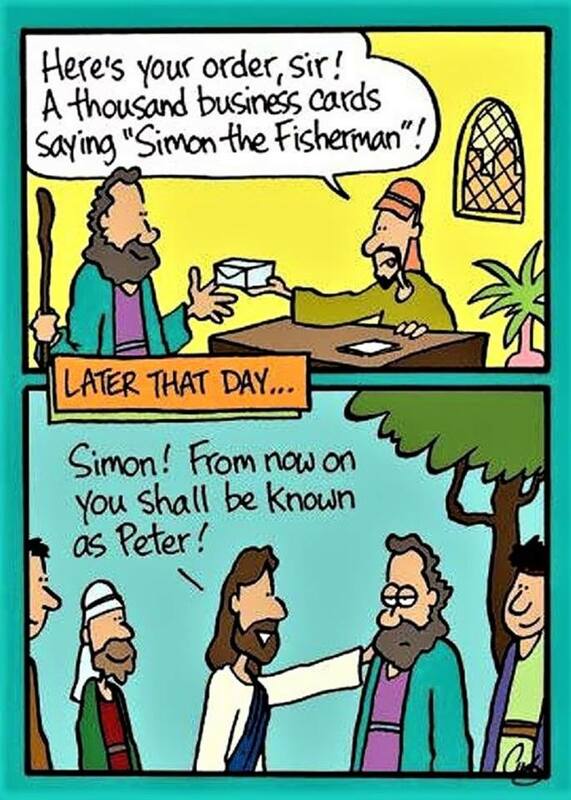 Jesus calls them to become “fishers for people,” obviously playing off the way they made their livelihood. This imagery has both negative and positive overtones in scripture but here a positive sense of “catching” people for Jesus’ movement seems best. It is worth noting that though we think of fishing as an individual and his or her rod and reel casting and reeling in, in the ancient world the picture we have here of a group of men casting a net into the sea and together maneuvering it and hauling in the catch. Whatever exactly Jesus was calling these men to using this image, they would have understood it as a corporate venture not an individualistic one. And hearing Jesus’ call these four responded. “Immediately” (there’s that favorite Markan word again). I don’t know if we are to take this literally as the text suggests and envision the men hearing Jesus for the first time, dropping their nets, and leaving their family business without further ado (so Cranfield, 68) or if we are take it figuratively to describe the complete and total commitment Jesus calls for (so France, 97). The latter probably suits our sensibilities better, which may be the best reason for taking the former option. It better captures disruptive quality of Jesus’ call. The cartoon below suggests this in a humorous fashion. Pay your money take your choice.